I offer two print styles for my limited edition prints, paper and plexiglass format - this page explains both styles and edition numbers. All of the images on this site are for sale on fine art paper in 3 unframed, small to large sizes as limited edition print runs of just 15. All of these sizes include a 7cm border which contains James' signature inside of it, usually in the bottom right corner. Complete with a certificate of authenticity and a written historical write up about my journey to photograph the image and the architecture. (This can be fixed to the back of the print when framed). 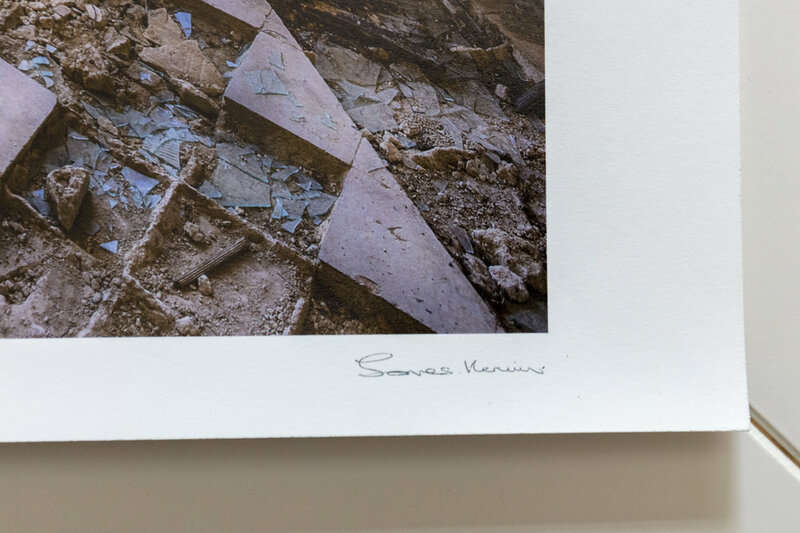 Your print is produced in the United Kingdom using Canson® Infinity Rag Photographique 310gsm, a 100% cotton museum grade white Fine Art and photo paper. The exceptional smooth white tone is achieved during manufacturing by introducing natural minerals into the process. Infinity Rag Photographique offers a unique extra smooth surface with a sensual feel, making it ideal for fine art photography as well as fine art printmaking. Print prices start from £140.00 and all artwork can be framed or mounted if required, with a choice of frame colour glass type and mount. Smaller sizes are now availible, but only through my online store, see below for information or to purchase. James will get back to you within 48 hours. A method where thereby the photograph is mounted on Aluminium. An acrylic (Plexi) non-reflective plate then is applied to cover the fine art print. A limited edition of 15 large format plexiglass prints made by Goodman & co, all sizes will ship direct to your delivery address from my agency in Holland. The work is also available to view at a selection of galleries in mainland Europe. All wall-art purchases come complete with a certificate of authenticity (This can be fixed to the back of the print when framed). A clean and very modern look, that is ready to hang. The work is perfectly protected and acquires depth and better contrast while reinforcing the intensity of any colour, it is the most elegant of finishes for my work. Click into any of the images on the right to view at a larger size and at the bottom is a size guide as well as some sample photographs of the final product. James will get back within 48 hours.